Well, it seems I have not paid as much attention to the news and Masonic blogosphere lately as I thought. 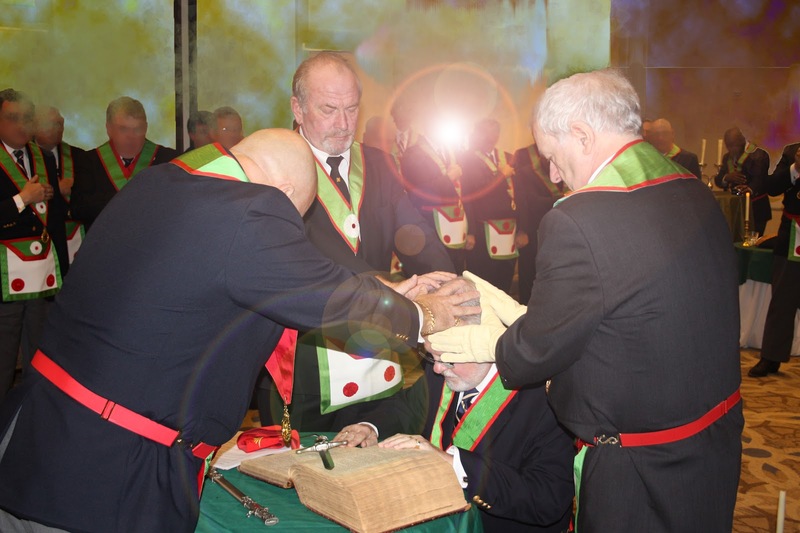 I was perusing the Masons of Texas forum when a Brother had pointed out from Brother Chris Hodapp's blog, Freemasons for Dummies, that the Grand Priory of the Reformed and Rectified Rite of the United States of America (CBCS) had been approved by the members of the Grand Encampment as a legitimate appendant order of the Grand Encampment. I wonder if this will reconcile the recent tension between the Grand Encampment and a few Grand Lodges within the US. One of the first items of business was a resolution declaring those who take membership in un-recognized orders after the date of adoption, upon their membership being known would be issued a letter giving them 30 days to submit a letter of withdrawal from the Order, or they would be issued a permanent demit from Templary under the Grand Encampment. It passed with only two negative votes out of 364. A second resolution adopted the Grand Priory as an official appendant order of the Grand Encampment. It passed with only 10-12 negative votes. Pierre Noel in his remarks pointed out that he was here to honor the good relationship his Priory had with the GEKT. 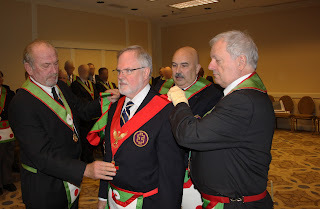 I did some digging around and found another article written on the Rutgers University Masonic Alumni blog where they discuss the installation of David Goodwin was installed as the national leader by Bill Koon and two other dignitaries of this order.